This entry was posted in Uncategorized by Alekseyev Karrde. Bookmark the permalink. 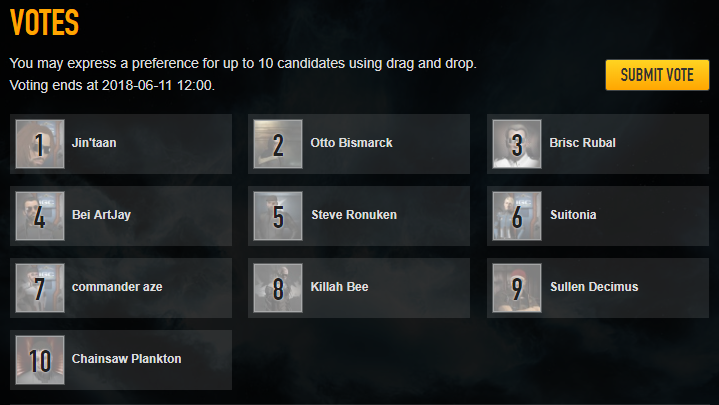 I believe this year’s pool of candidates is the best I’ve ever seen. Many highly qualified individuals with a true passion for EVE. I’m looking forward to the next few years in New Eden as I think CCP and the community are very much aligned with the same goals. Some may disagree, but from a 30,000 ft view it’s looking good.